The Fairways Golf Four-Ball Championship is kicking off its inaugural tournament in 2018 and want you and a teammate to be a part of it! This is a season long tournament for Fairways Golf Members. Only current Fairways Golf Members can participate in this tournament. Not a member yet? Click here to join The Fairways Golf Membership today (by May 17, 2018) and you will be able to join in on the fun. You and a partner will compete amongst other teams in the tournament using a Four Ball format. There will be a group stage with round robin matches along with single-elimination matches during this tournament. 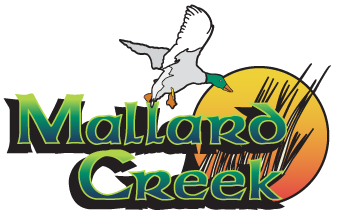 All matches are 18-Holes and must be played at Mallard Creek Golf Club, Pine Brook Golf Links or Dragon Ranch Golf Club. There is no designated day or time slot for the matches to be played. You can play your matches any day or time it works for both teams. Just make sure to get your matches done by the deadlines that are on the schedule. Four ball consists of two teams with two players each. Each golfer plays their own ball throughout and the lower of the partners’ scores count toward the team score. Four-Ball Match Play: Four ball consists of two teams with two players on each team. Each golfer plays his or her own golf ball throughout and the lower of the partners’ scores counting as the team score on each hole. Example: Team 1 has Player A and Player B…Team 2 has Player C and Player D.
The Course Handicap of all four players is reduced by the Course Handicap of the player with the lowest handicap, who then plays from scratch. Each of the three other players is allowed 100 percent of the difference. Example: Players A, B, C, and D have a Course Handicap of 5, 10, 15 and 20, respectively. Player A plays at scratch, B receives 5 strokes, C receives 10 strokes, and D receives 15 strokes. You must let Matt Kershner know where and when you are going to be playing a match. So tell me if you are playing at Mallard Creek, Dragon Ranch or Pine Brook and tell me what day you are playing. A scorecard WILL be made for you…all you have to do when you get to the course is tell the active Pro Shop Manager that you are playing in a FGM Four-Ball Match and need your scorecard. You MUST keep score on that scorecard and turn it in to the active manager in the clubhouse after the match. 1.) “Jungle Golf” – If your ball is hit out of bounds or into a hazard you may play a provisional ball or spot your ball at the nearest entry point to the hazard and penalize your score for that hole with a one stroke penalty. You may move your ball anywhere with your club head within six inches from the original spot (everywhere but the fringe and green). However, do not improve your position (i.e. around a bush/tree). No gimmes, no mulligans. No loss of distance or out of bounds. Drop your ball within two club lengths of the point of entry. 2.) USGA rules hereafter apply. 3.) All Men will play from the Blue tees, ladies from the reds, and seniors (65 & older) may play from the gold tees. To register for The Fairways Golf Four Ball Championship, you can stop by the pro shop at Mallard Creek Golf Club or reach out to Matt Kershner at (440) 748-8231. Or, you can email Matt by clicking here.